1 “regular” package mushrooms (not sure on weight) – was about 12 mushrooms total. Cut everything up into “soup sized” pieces and place in crockpot for 6-8 hours on high. Fork through a carrot should be a good test. Depending on how hot your crockpot does, it might be done sooner. 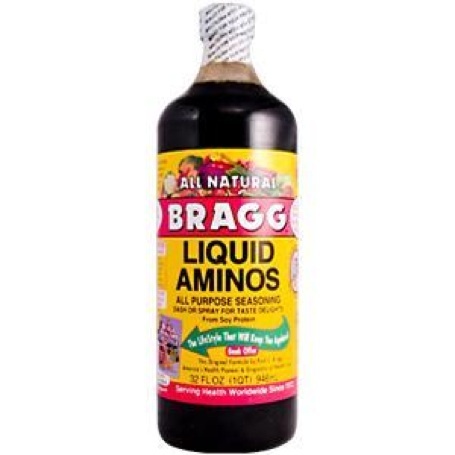 This stuff is pretty amazing – I have had BLA in my life for at least the past 15 years or so (my Mother-in-law is a health crusader who got my wife into it long ago). When we decided to follow a vegan lifestyle, this stuff became my new go-to flavor! Veggies, Potatoes, Rice, Quinoa, even fresh hummus, this is the magic unicorn daydreams are made of! We used to get ours at our local health-food store (Super Natural Market in Bristol) but it can be found cheaper at Price Chopper and even Whole Foods (Whole Paycheck) when it’s on sale! Feeling cheesy anyone? I have a little love-hate relationship going with Nutritional Yeast – it can be soooo yummy and sometimes I just don’t feel like being reminded of cheese. It is worth getting acquainted with this delight – it goes great on salads, pasta, popcorn, potatoes, you name it! *note: beware “brewers yeast” sometimes this is mislabeled nutritional yeast, but it’s not the same thing so play it safe! Bob’s Red Mill makes a large flake version, and Bragg’s and Red Star make nice “shakeable” mini flake versions. 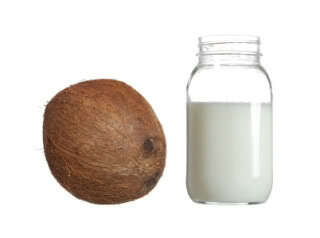 The health benefits of coconut oil are vast – for a great video and article visit Mercola and get a little smarter. The high lauric acid content is excellent for your health. It has a high smoke point, so it’s great for frying – it also is very stable so it stays well outside the fridge (for something crazy like 2 years!) I keep it in a little tupperware container and use it instead of butter! *note: you want to get “Centrifuge Extracted” Coconut oil – there are a bunch of ways to make coconut oil, and they’re not all the same! Back to Mercola for a little more video goodness… So here’s a mind blower – table salt is like “crack-salt” it’s refined and nasty for your body. The truth though is REAL salt is excellent for you – it’s necessary for good health! This pink healthy salt (Himalayan) Tastes AMAZING – it has a wonderful flavor and is actually good for you! Throw some on the coconut butter you are using for butter to get that creamy salty kick you crave! After much researching, my Toadette got some in little salt mill (grinder) and it gets lots of use around here! You can also get these really cool Himalayan Salt Slabs for cooking and presenting food – they give a pleasant flavor to food you prepare on them… like a huge human salt lick… mmmmmmm!